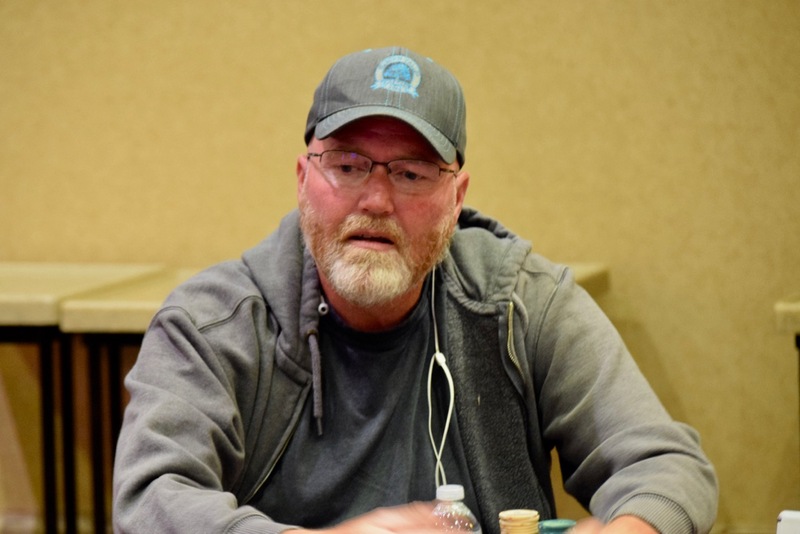 @KevinODonnell15 opens, gets one caller, then Shannon Kahahane moves all in. Another player semi-tanks then moves all in. Action is back to O'Donnell and he fully tanks, then finds a call. The last player - defending Poker Night in America Champ Rob Anderson - now is pretty much priced in and he's all in also. Anderson - 89, yep, priced in with 89 as the shortest stack among the 4 players. The flop is 8-5-K and Kahahane takes a big lead ...until the turn 9 and Anderson hits two pair. 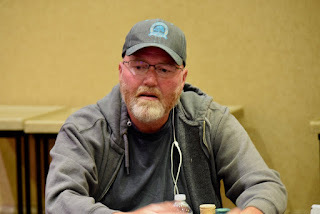 Everyone else, though, is drawing live ... the river 4 closes out the hand with Kahahane left with 2,200, O'Donnell with 5,000, one player eliminated and Anderson to 56,000.